This is Chuckie, my husbands constant shadow when working outside. 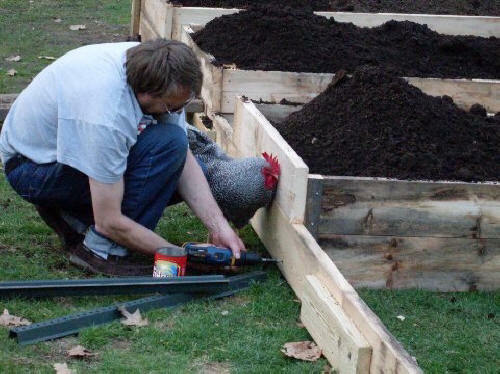 He was finishing some raised garden beds and apparently this rooster inspector wanted to make sure the job was done right. Note: he is not afraid of the power tools. My husband decided to take a much needed break after a hard day's work. 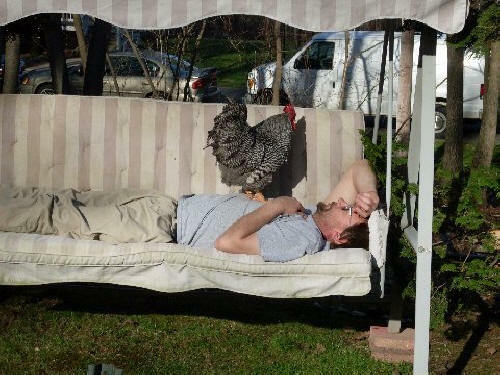 Chuckie decided he needed a break as well, so he joined my husband on the swing.